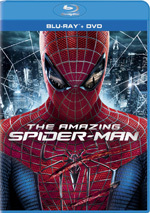 The Amazing Spider-Man appears in an aspect ratio of approximately 2.40:1 on this Blu-ray Disc. The movie came with a solid presentation. We find a slew of extras here. On Disc One, we launch with an audio commentary from director Marc Webb and producers Avi Arad and Matt Tolmach. Webb creates his own running, screen-specific track that gets combined with a similar piece with Arad and Tolmach together. All together, they look at story/character subjects and adapting the comic book material, cast and performances, sets and locations, various effects, stunts and action, music, and a mix of other topics. This edited piece delivers a competent examination of the film but not more than that. It comes with too much praise for my liking, and it never feels especially insightful. Nonetheless, it covers a broad enough range of subjects to make it worthwhile; it’s never great but it’s consistently good. Disc One opens with ads for Men In Black 3, Total Recall and the Worldwide Orphans Foundation. The movie promos also pop up under Previews along with clips for Arthur Christmas and Premium Rush. 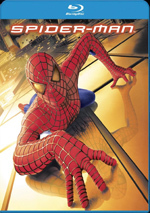 Over on Disc Two, the main attraction comes from Rite of Passage: The Amazing Spider-Man Reborn. 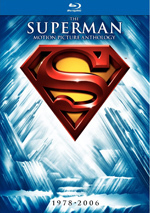 This collection of featurettes occupies a total of one hour, 49 minutes and 49 seconds with comments from Webb, Arad, Tolmach, producer Laura Ziskin, screenwriter James Vanderbilt, costume designer Kym Barrett, executive producers Michael Grillo and Stan Lee, specialty costumer Joseph Richard Collins, makeup department head Ve Neill, location manager Mike Fantasia, 2nd unit director Vic Armstrong, stunt coordinators James and Andy Armstrong, production designer J. Michael Riva, set decorator Leslie A. Pope, special effects coordinator Jim Schwalm, special effects supervisor John Frazier, special effects foreman Mark Noel, visual effects supervisor Jerome Chen, property master Andrew M. Siegel, stunt man Tyler Barnett, director of photography John Schwartzmann, editor Alan Edward Bell, additional editor Michael McCusker, digital effects supervisor David A. Smith, additional animation supervisor David Schaub, composer James Horner, and actors Emma Stone, Andrew Garfield, Rhys Ifans, Denis Leary, Sally Field, Martin Sheen, C. Thomas Howell, Jake Ryan Keiffer, and Irrfan Khan. “Rite” examines rebooting, the movie’s development and changes in personnel, story/character/script areas, cast and performances, costume/creature design, sets, location and production design, stunts and action, various effects, editing, music and audio, and thoughts about the franchise. With almost two hours at its disposal, “Rite” provides ample room to breathe and explore its territory. It does well in that regard, as it delivers a full, involving documentary. “Rite” covers all the appropriate subjects and does so in a compelling manner. 11 Deleted Scenes fill a total of 16 minutes, 50 seconds. In these, Dr. Connors becomes the primary beneficiary, as he dominates the clips. These add a little to the character, especially when we see his inner conflict and his connection with his son. Others seem less interesting, but I like the way the cut sequences expand the Connors role. Under Pre-Visualization, we find 16 segments with a total running time of 39 minutes, eight seconds. Across these, we see a mix of filmed storyboards and crude CG animatics that let us see various scenes during their planning stages. I’m not a huge fan of this sort of material, but this is still a good compilation. Stills pop up within The Oscorp Archives Production Art Gallery. This splits into three domains: “Spider-Man” (156 images), “The Lizard” (52) and “Environments” (123). These can be technical and often offer variations on a theme; for instance, we’ll see many barely-different takes on Spidey’s mask. Nonetheless, they give us some interesting visuals and the interface is friendly enough to make navigation easy. Within Image Progression Reels, we find another four segments. These go for a total of 11 minutes, 51 seconds and depict the different stages through which those scenes went. We see them at their most basic and watch as visual layers add to their complexity. Jerome Chen, David Schaub and David A. Smith add commentary and helps make this an informative view of the processes involved. Stunt Rehearsals delivers eight clips for a total of 11 minutes, 52 seconds. We see rough video footage that presents the stunt performers as they demonstrate/work out what we would get in the final film. I like this segment, as it’s cool to see the action scenes effects trickery; we can examine how much was done for real. Finally, a featurette called Developing the Amazing Spider-Man Video Game lasts three minutes, 30 seconds. We hear from studio head Dee Brown, executive producer Brant Nicholas, and creative director Gerard Lehiany as they simply tell us about the game. This is an ad and nothing more. A third disc delivers a DVD Copy of Amazing. It gives us a version with a mix of extras, so it provides better value than many bonus DVDs. After three mostly fine movies between 2002 and 2007, I hoped 2012’s Amazing Spider-Man would develop the series in equally positive manner. Unfortunately, that didn’t happen. While the earlier series did almost everything right, Amazing gets almost everything wrong and feels disconnected from the world of Spider-Man. 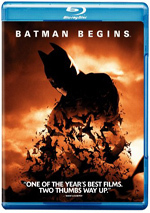 The Blu-ray delivers solid picture and audio along with a strong set of bonus materials. I feel totally pleased with this excellent Blu-ray and wish I enjoyed the movie more than I do, but Amazing Spider-Man remains a major disappointment.